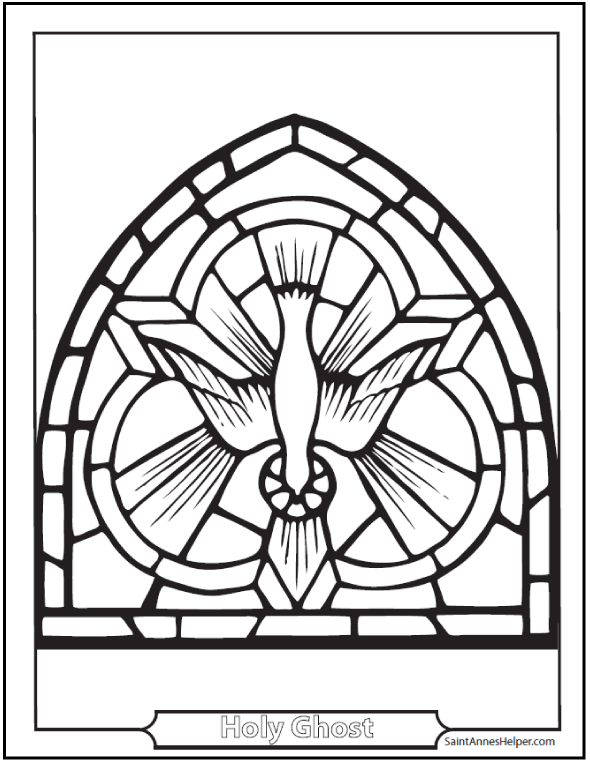 This Descent of the Holy Ghost coloring sheet shows Him descending in a stained glass church window with the Blessed Trinity symbol with the Holy Ghost in the form of a dove. This PDF prints 8.5x11" single sided. Come Holy Ghost stained glass coloring sheet. What are the Seven Gifts of the Holy Ghost? "The Seven Gifts of the Holy Ghost are Wisdom, Understanding, Counsel, Fortitude, Knowledge, Piety, and Fear of the Lord." Learn more on our Confirmation page. What are the Fruits of the Holy Ghost? "The twelve fruits of the Holy Ghost are: charity, joy, peace, benignity, goodness, faith, mildness, long-suffering, modesty, continency, chastity." 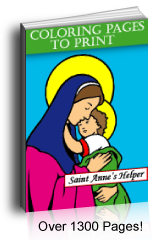 If you use the Baltimore Catechism, you'll love our Confirmation catechism worksheets and booklet! See more Holy Ghost and Confirmation symbols here.